Buying a piano can be a fun and exciting experience. It can also be confusing and frustrating. 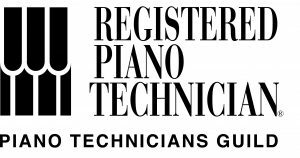 There are so many considerations and most people – even piano teachers and performers – don’t understand the workings of a piano. Most people don’t know where to start. There is an excellent, and free resource on line that takes some of the mystery out of piano buying. It is called Pianobuyer.com. It explains the basics of pianos – what the different kinds are, what to look for, and why certain pianos cost more than others. When starting your search, you will have two main decisions to be made: grand or vertical, new or used. I will help outline each option. A Grand piano has horizontal strings parallel to the floor. They can be as small as 4’ 8” in length and greater than 9’. Most homeowners opt for pianos 5’ – 7’ long. In general, the bigger the piano, the more powerful (and usually richer) the sound. That said, the piano should be appropriately sized for the space it occupies. My 5 ½ foot grand piano, for example, makes plenty of sound for my living room but would not have a big enough sound for a concert hall. Grand pianos also have a different kind of action from a vertical which allows for better repetition and control. This is why most advanced and professional players prefer grand pianos. A Vertical piano has strings parallel to the wall. Note that there is no such thing as an “upright grand.” This is a marketing gimmick from the 1920’s. The smallest vertical piano is a spinet piano, standing under 40” in height. A console piano is 40 – 43 inches, a studio piano is 44 – 47 inches and an upright is any piano over 48 inches tall. Like a grand, the bigger the piano, the bigger the sound. However, bear in mind that a high quality console may sound better than a low quality, or poorly maintained upright. The decision to buy a grand or vertical piano depends on budget and available space. Both piano types can provide musical enjoyment. Keep in mind that a high quality, well maintained vertical piano can often be a better choice than an old, low quality, poorly maintained grand. Furthermore, there is no correct answer to “what brand of piano should I buy?” Different brands of pianos have different sound characteristics, touch and feel. That’s why it’s important to play lots of pianos before deciding which one is the piano for you. Should I buy a used piano or a new one? We are fortunate in the Washington DC area to have a wide variety of piano dealers representing some of the best brands made. The advantage of buying a new piano is that you have a manufacturer’s warranty and a dealer standing behind the purchase. Your piano will usually also come with at least one free tuning. You should visit several of the dealers and play lots of pianos. You will be surprised how different each of the pianos sound and feel. For example, Kawai and Yamaha make pianos of similar quality. Visually, they look almost identical. There are some people who much prefer the Kawai sound and others who swear by the Yamaha. It’s all a matter of personal preference. Once your new piano is delivered, make sure you take advantage of your first service! It’s hard to believe but I’ve tuned a few pianos that were never tuned after delivery and so many of the problems that owner had encountered could have been solved on that first service. Play the piano for a while before having it tuned and make note of any problems. The hammers should not bounce or double strike, all the pedals should work properly and not squeak, and there shouldn’t be any annoying clicks or buzzes. All such problems can be addressed on that first service. Used pianos can be a great value since, like cars, pianos start to depreciate after they leave the dealership. There is a depreciation schedule in Pianobuyer.com that gives a general outline of piano depreciation. There are many excellent used pianos on the market today. There are also many terrible pianos for sale. In general, pianos are made of wood, metal and a small amount of fabric (like felt). Over time, wood dries out, metal rusts, and felt compresses or gets moth-eaten. This happens to all pianos – both Wurlitzer spinets and Steinway grands. This can lead to loss of tone and, more importantly, loss of tuning stability. How fast the piano deteriorates depends on its original quality and how well it was maintained by its owners. A piano kept in a stable environment, serviced regularly and not subjected to abuse can last 80 years. A poor quality piano that was rarely tuned, and housed in a poorly conditioned environment may only last 40 years. Virtually all 100 year old pianos will need major repairs. When shopping for a used piano, you can buy from a dealer or an individual seller. The dealer will often give you a warranty, provide a free tuning and may also include shipping. Usually used pianos from a dealer will cost more but they have been inspected and repaired so they will be in reasonable shape. Tuning and shipping alone are worth a few hundred dollars. If buying from an individual seller, you should make a thorough inspection of the piano. I highly recommend hiring a piano technician to make the final inspection of a piano bought in a private sale. The most important thing I check is the tightness of the tuning pins. Loose tuning pins do not allow a piano to hold its tune. It is impossible to ascertain the tightness of the tuning pins without a tuning hammer. Some very clean, rust free pianos can have surprisingly loose pins. I also check the condition of the structure, hammers, dampers and bridges as well as the pitch. This helps you gage how much you will have to spend on repairs and tuning once you own the piano. Also, remember, to budget in the move. Pianos should always be moved by professional piano movers. Even the smallest spinet is extremely heavy. Piano movers carry insurance so that if a piano causes damage to either the buyer’s or seller’s property, or the piano itself, the liability will be theirs. Finally, a brief note on antique pianos. Pianos that are over 80 years old can be charming to look at but usually require major repairs. Some of the more obscure or defunct brands may have unusual components that are no longer manufactured and the piano is therefore, not repairable. Certain high quality grands like Steinway and Mason & Hamlin (and a few others) are candidates for rebuilding. In fact, there is a large demand for these rebuilt instruments. For lesser known grands (whose brands are defunct today) and most verticals, you will not recoup the cost of your rebuilding to justify the expense. Of course, there is something to be said for sentimental value and if you want to rebuild grandma’s old piano since it means so much to you, then by all means, do it. Just understand that if you spend $10,000 on a rebuild, you may not have a $10,000 piano. As for square pianos (also known as square grands), these are not modern pianos and you will be hard pressed to find a technician to service them. Leave these for the museums. I didn’t realize that there are vertical pianos available that are under 40″ in height. My sister just moved into a condo in the city. Hopefully, this info can help her find a piano that will fit into her smaller space while still having great sound. Thank you for mentioning how you can often get a warranty when buying a used piano from a used dealer. It is important to remember that taking the time to understand this can help you find the best-used piano for your needs. I understand how anyone looking into this would also want to check online reviews and ratings in order to find the most reputable dealers in your area and the best piano you can find.